DO YOU HAVE STORIES TO SHARE ABOUT GENE? OR CONTACT THE Religious Archives Network linked above. 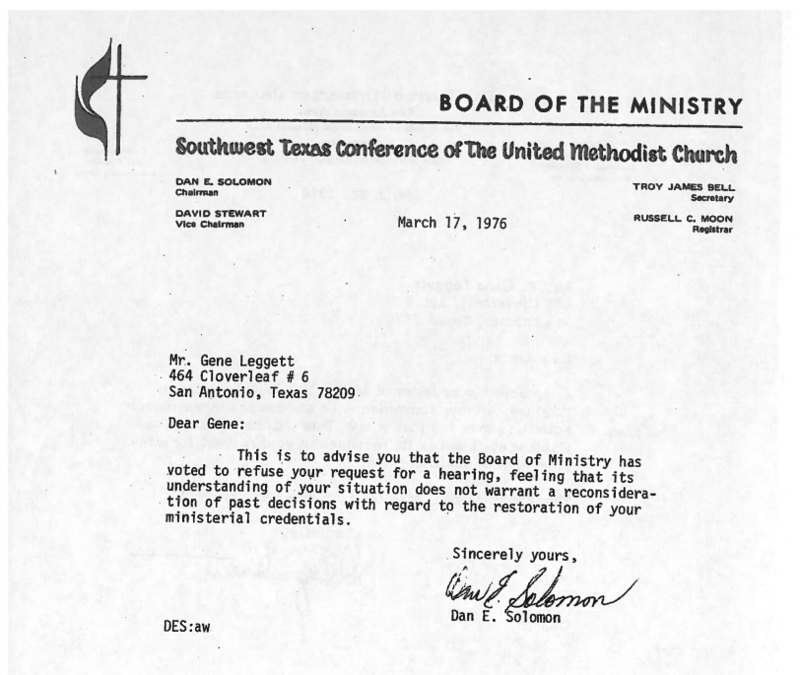 Gene’s letter explaining why he chose to out himself as a gay Methodist minister. Letter rejecting Gene’s request for a hearing after he was defrocked for coming out as a gay man. 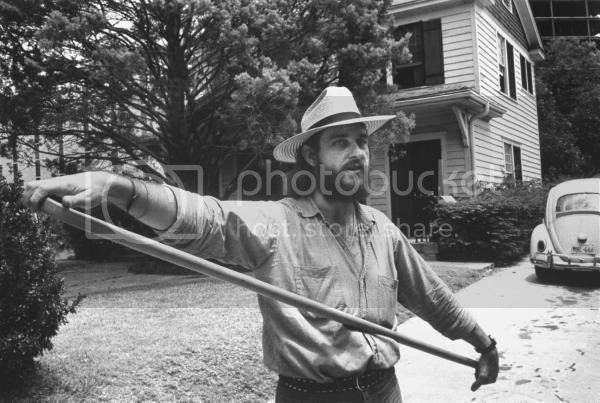 Here’s a photo link that ran in Time Magazine’s 1971 Year in Pictures of Dad standing in front of “The House of the Covenant” on Gilbert Street in Dallas. I was 17 years old when i met Gene Leggett, I wasn’t really a run away but i did not like being home, i stayed off and on in the house on Gilbert during the summer of 1971, Gene was very kind, Sweet and Funny; i am now 62 and i have many so many fond memories of Gene and all the Gay exploits of that summer.